Ferdinand isn’t shy when it comes to snacks! 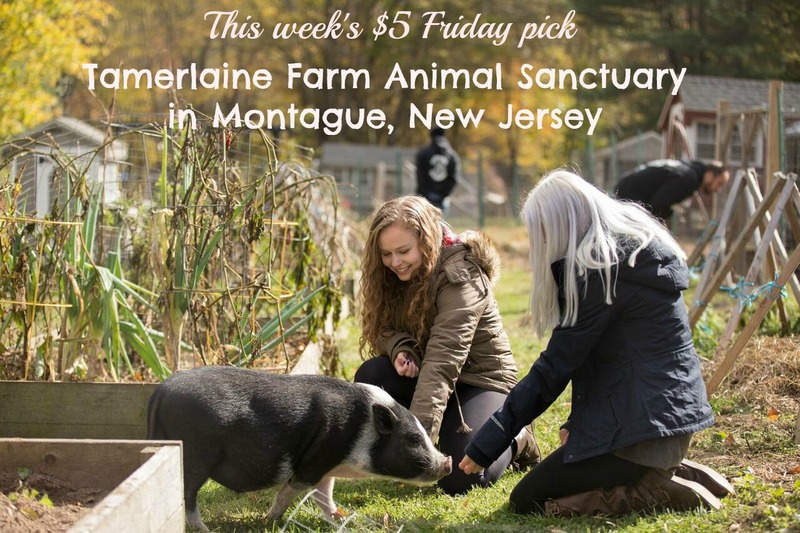 Tamerlaine Farm Animal Sanctuary in New Jersey is a paradise for rescued animals. It is with great pleasure that I select this sanctuary as this week’s $5 Friday pick. After a thorough vetting process that included a face-to-face meeting with the sanctuary founders and directors, I’m confident this all-star team of animal heroes will use your donation wisely and effectively. 1) In addition to using their rescued animals as ambassadors to promote plant-based eating, Tamerlaine has even developed their own organic vegan hot sauces! And 100% of the proceeds go back to rescue and rehabilitation! 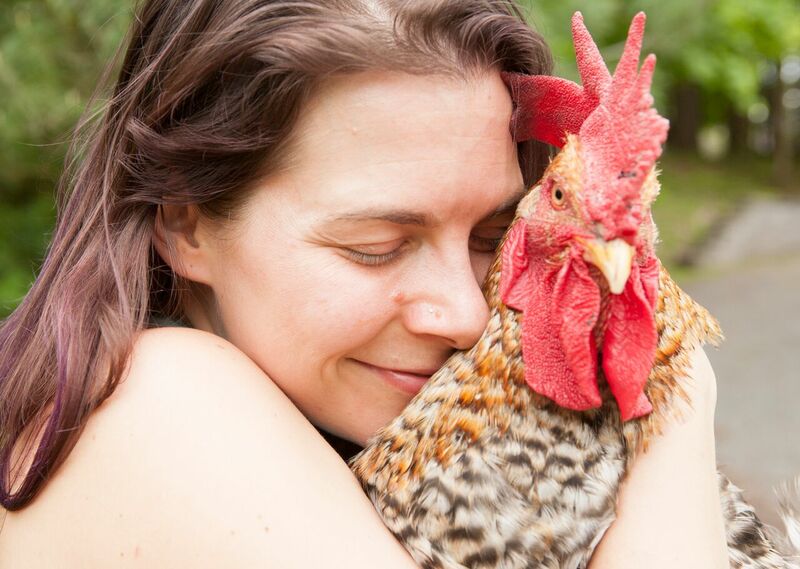 It’s rare to find volunteers that operate a farm sanctuary and simultaneously create and sell vegan food in stores to save even more lives. Tamerlaine does it! 2) This sanctuary is almost exclusively funded by its founders, neither of whom take a salary. They care for 140 rescued animals with an annual budget of $85,000. They are only one year new and desperately need volunteers and our financial support to help them succeed. These are incredibly generous people who truly deserve our assistance. 3) I solicited feedback from volunteers at the sanctuary. I asked for limited feedback because it is so time consuming to complete a sanctuary review. The volunteers couldn’t stop themselves and each wrote multiple paragraphs singing the praises of the sanctuary, its leadership, and the welfare of the animals. By the time I finished reading their stories, I became convinced that Tamerlaine is a special place. 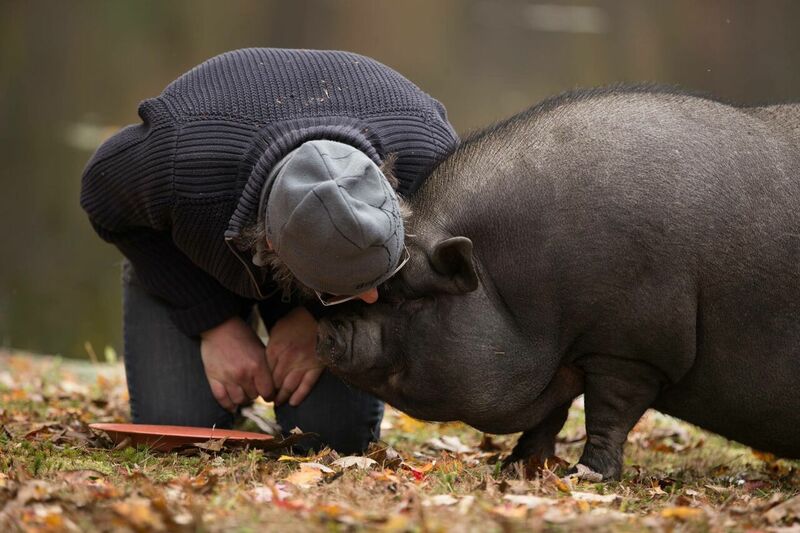 4) The sanctuary’s powerful photos open minds and change hearts through social and conventional media stories. 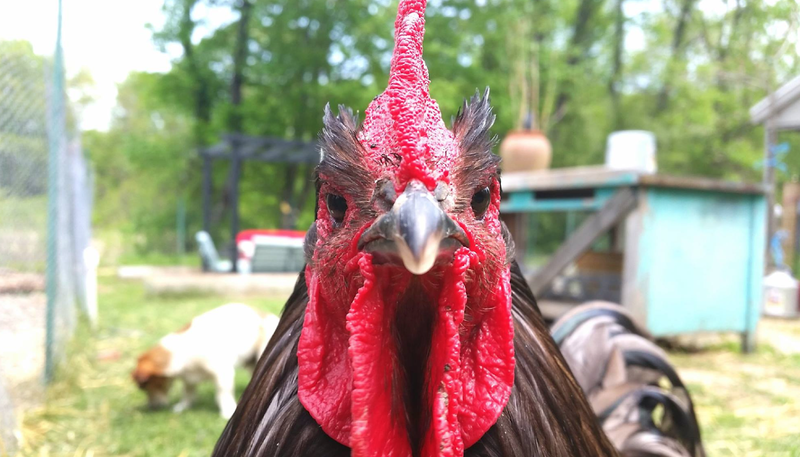 Scroll through a few images below and you will quickly see how the sanctuary uses the beauty and kindness of the animals they rescue to impact positive changes. 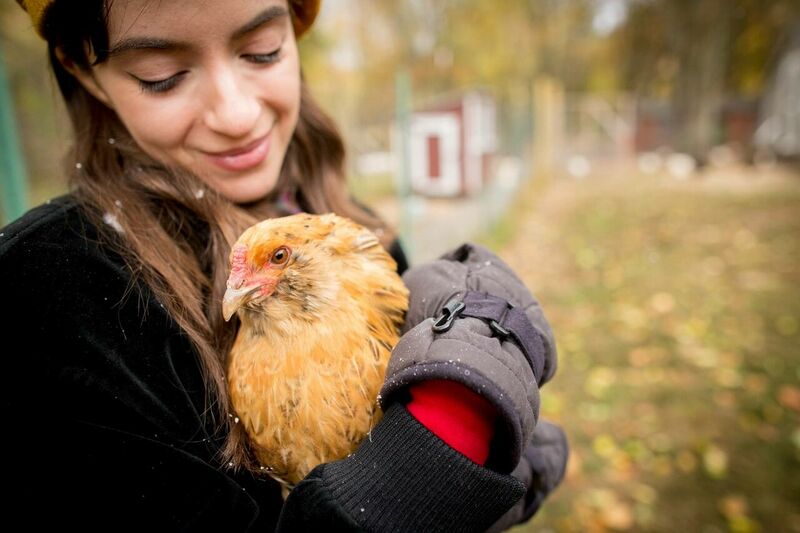 5) The sanctuary leadership places a heavy emphasis on its humane education program. They stressed how educating the public through their community events and tours is the heart of their work. Still not convinced? Hopefully these rescued faces at Tamerlaine Farm Animal Sanctuary will inspire you to click this donate button! And make sure you watch Peep’s inspiring video! This is Lemon at Tamerlane Farm Animal Sanctuary. Will you donate $5 for Artie? 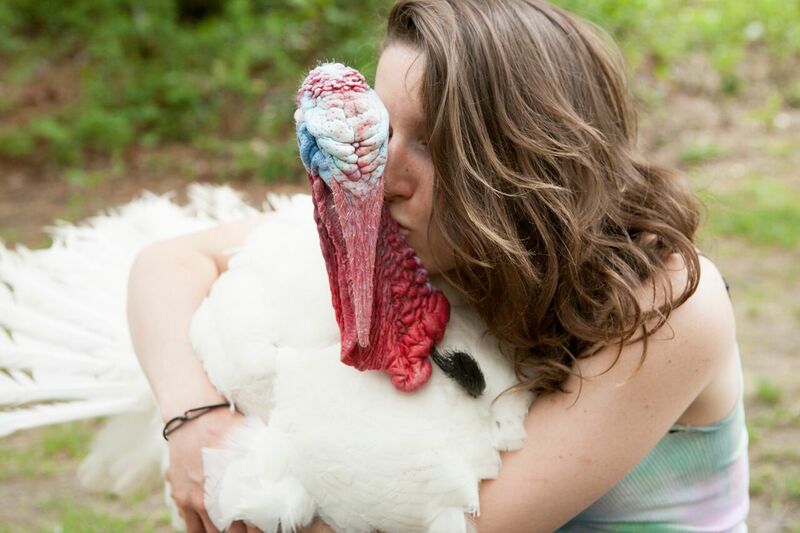 Teddy is loved at Tamerlaine Farm Animal Sanctuary. 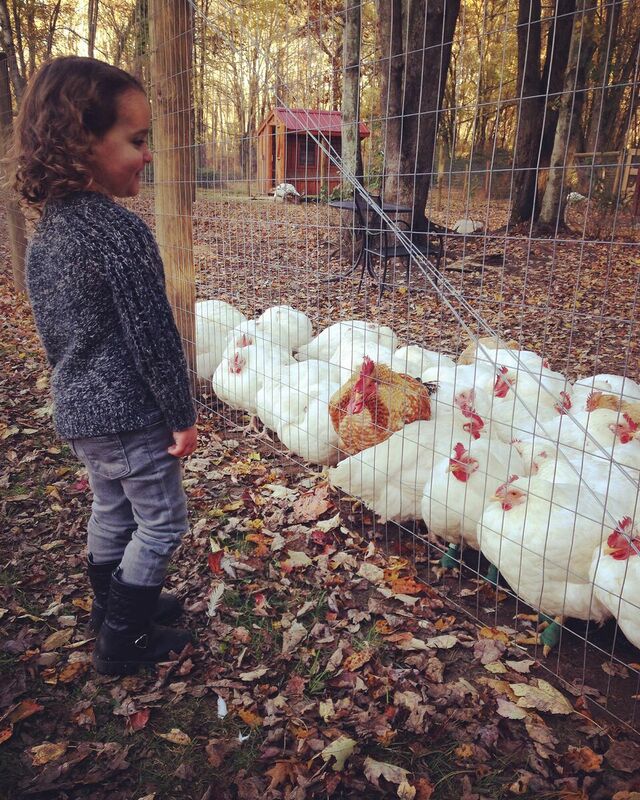 The sanctuary’s tours make a lasting impact in the lives of visitors…and countless farmed animals. And the “Best Eyebrows Ever” award goes to…Jupiter! Mr. President gives free hugs at Tamerlaine! 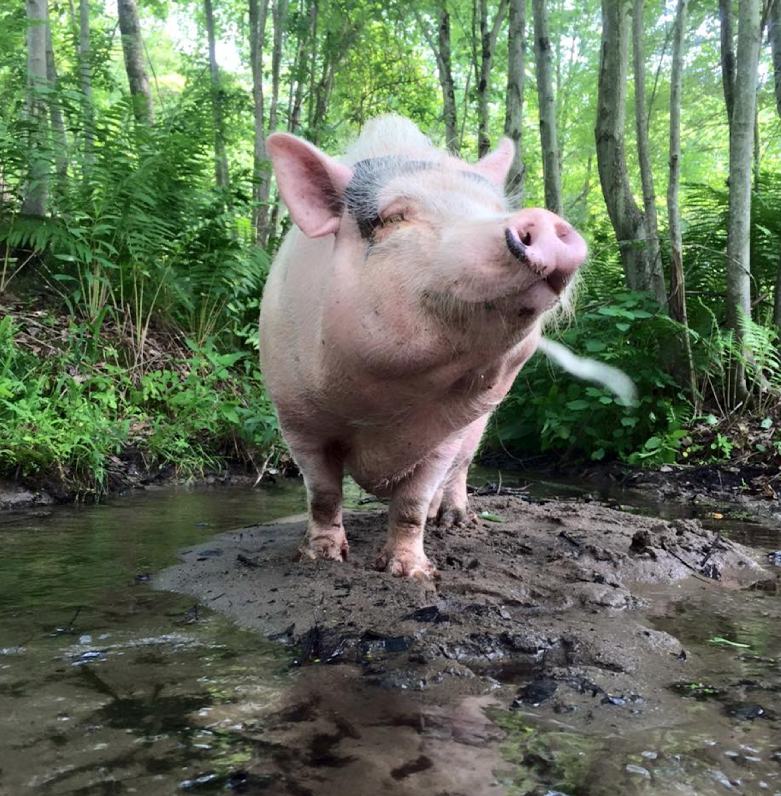 Clara enjoys her mud baths at Tamerlaine! Let’s show these animal heroes how much we appreciate them! First time participating in $5 Friday? Click here to learn how it works! Click here to check out previous picks! 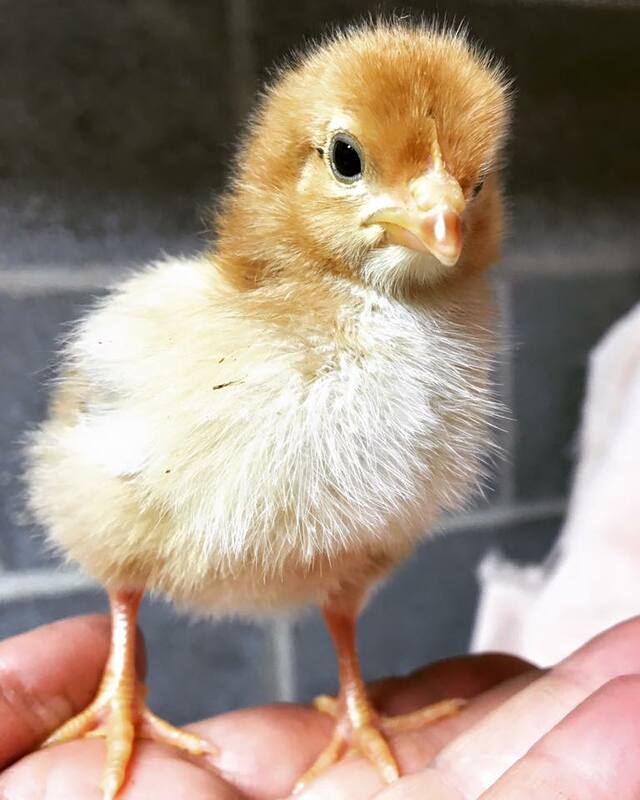 You can also read Tamerlaine Farm Animal Sanctuary’s inspiring rescue of Peeps on Animals of America today. Please list your $5 donation in the comments section below or on my Facebook page so we can inspire others to donate and track our total. Please click here to “like” and follow Tamerlaine Farm Animal Sanctuary on Facebook! Let’s go big today! Thank you! 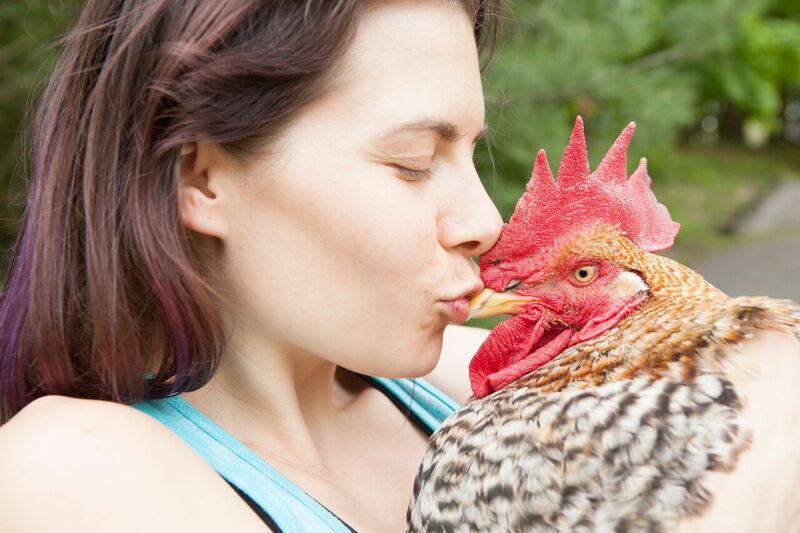 I proudly donated $5 to Tamerlaine Farm Animal Sanctuary. Thank you so much for your support. We are so full of gratitude for you help and generosity! So happy to donate to my favorite sanctuary!! Thanks, Laura! We love you so much! 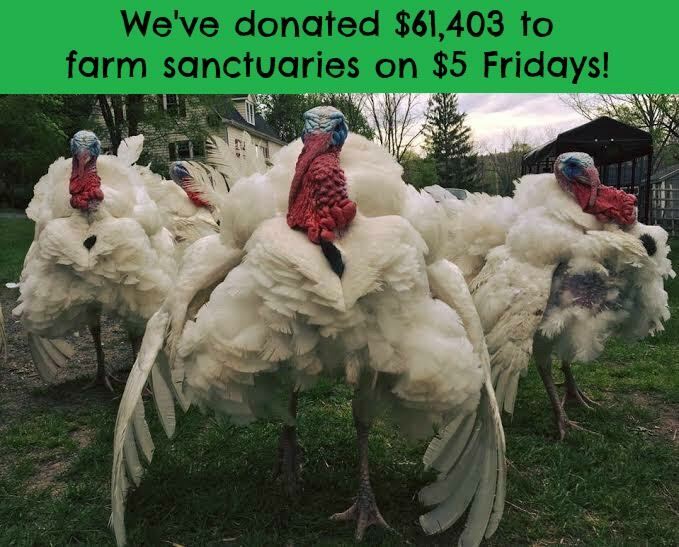 Happy to support this sanctuary, and it’s generous founders! Thank you so much, Allison! We appreciate your support! The world is a better place for having Tamerlaine in it! Proud to support all the work that Gabby, Peter, and the crew do on a daily basis! Oh, thank you so much! It means so much to us to be able to make a difference in the world for all of our animal friends! Your support is so important to us all. I am so excited to be able to donate to this wonderful Sanctuary. I also was able to donate for my parents Sue and Ed as well! I proudly donate to Tamerlaine Farm, and can’t wait to visit someday soon! Christine! Thanks so much for your support! We’d love to have you come for a visit! Thank you, Robbie! Now, we can splurge on some extra watermelon to help keep our chickens cool as the weather heats up! Yay! Sandy! We are in awe of the love and support you have shown us today. Thank you! Leslie, you are amazing! All the way from Hawaii! Thank you humbly from all the residents here at the farm! you are wonderful! and thank you says all the kids here at Tamerlaine! Happily donated for $5 Friday. I hope to visit Tamerlaine Sanctuary in the near future! Please come visit us and see how your donation has helped in such a big way to help us here at the farm! We are so happy you have joined us today with your generous support! Thank you so much! We’re coming down the homestretch for Tamerlaine Farm Animal Sanctuary. If you happen to miss this post Friday, please feel free to donate this weekend. This is a new sanctuary so every dollar counts. We will post the final total on Sunday. Thanks entirely to your generosity, it has been an amazing day for the rescued animals at Tamerlaine Farm Animal Sanctuary. I gave $5 🐿 Thank you for all you do for the animals! Thank you so much Dale! We are overwhelmed with joy at the amazing support you have shown to us! $10 – this sounds like a wonderful place! There seems to be something wrong with PayPal at the moment. I will try again to donate tomorrow. Hi Carolyn thank you much for your persistence and we are sorry you are having trouble with PayPal! We checked it on our end and it seems to be working. We so appreciate you taking so much time to help us. 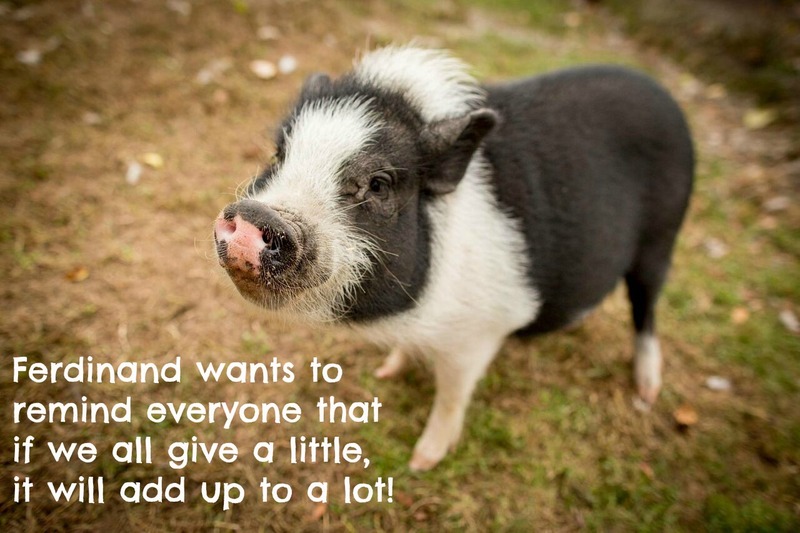 Your donation will enable us to buy extra treats for the pigs here at the farm and they heartily thank you! Unfortunately I’m a day late to the party, but I did donate $10 USD to Tamerlaine Farm as part of $5 Fridays. These folks do wonderful work. I am grateful to them and to you for vetting these sanctuaries for us. Sophie! We thank you deeply from the caretakers to the animals that live here. We are very grateful for your support! Just donated $25 on Saturday to $5 Friday Pick. Thanks Tamerlaine Farm❤️ for everything you do for animals .